Single-box elegance at the cutting edge of standalone DAC design. Debussy is the entry point to the world of dCS and designed to be the hub of a digital playback system. Debussy combines the legendary dCS Ring DAC and our award winning asynchronous USB technology in one box to deliver a DAC that extracts exceptional performance from any digital source. Key Features:Debussy DAC uses the proprietary dCS Ring DAC ™, which incorporates several detail improvements over earlier versions. The dCS Ring DAC ™ is a discrete balanced design which does not use any off-theshelf DAC chips commonly found in other manufacturers’ products. 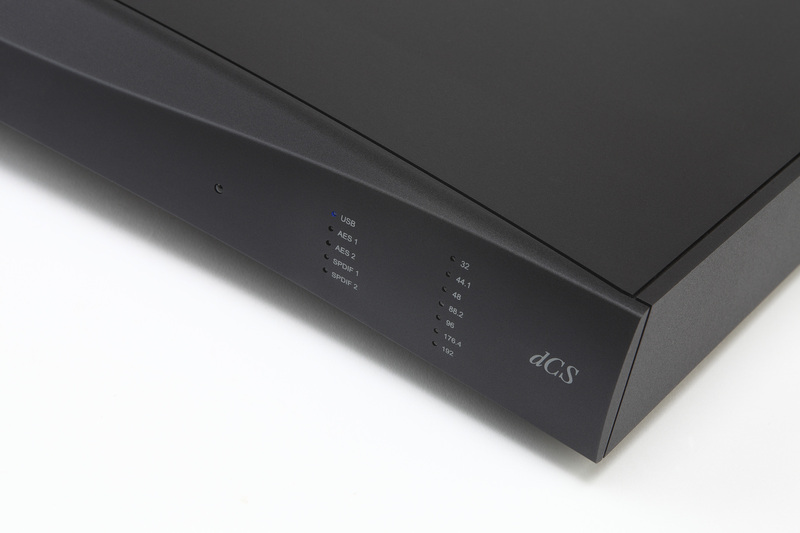 dCS’ proprietary Ring DAC and oversampling topology produces exceptional linearity across the dynamic range. All dCS products use a sophisticated multi-mode Phase-Locked-Loop (PLL) which significantly reduces clock jitter. Faster, 100% accurate DSPs (within the bounds of their resolution) give improved filters revealing yet more fine detail. Higher capacity FPGAs (Field Programmable Gate Arrays) give more logic capacity and increase the scope for additional features and enhancements. Asynchronous USB mode prevents the computer source injecting jitter into DAC. Improved power supplies give lower running temperature and increased tolerance to AC supply variations. dCS‘soft’ approach to programmable logic allows dCS products to adapt to changes in digital formats and add new features by loading new software from a CD or a computer. High grade aluminum chassis and laminated acoustic damping panels reduce magnetic effects and vibration. Dimensions (WxDxH) 445mm/17.6” x 392mm/15.5” x 65mm/2.6”. Allow extra depth for cable connectors. Analogue Outputs Output Levels: 2V rms or 6V rms on all outputs, set by the Output Level switch on the rear panel. Balanced Outputs: 1 stereo pair on 2x 3-pin male XLR connectors (pin 2 = hot, pin 3 = cold). These outputs are electronically balanced and floating, the signal balance ratio at 1kHz is better than 40dB. Output impedance is 3Ω, maximum load is 600Ω(a 10kΩload is recommended). Output impedance is 52Ω, maximum load is 600Ω(a 10kΩload is recommended). 176.4 & 192 kS/s or DSD in DOP format. OR as a Dual AES pair at 88.2, 96, 176.4 & 192kS/s or DSD in DoP format. 88.2, 96, 176.4 & 192 kS/s or DSD in DOP format. Word Clock I/O Word Clock input on 1x BNC connector. Accepts standard Word Clock at 32, 44.1, 88.2, 96, 176.4 & 192kS/s. Residual Noise Less than 110dB0 @ 20Hz-20kHz unweighted (6V Setting). Spurious Responses Better than -100dB0 @ 20Hz-20kHz. Filters 2 filters on Debussy give different trade-offs between the Nyquist image rejection and the phase response. non-linear phase and no pre-ringing. Software Updates Loaded from CD or Computer via USB. Local Control IR (RC5) or RS232. A dCS Premium remote control is supplied as standard. Operating Systems Tested on Windows XP/Vista/7 and Mac OSX. Operates in ‘Audio Class’ mode. Class 1 mode (limited to 96kS/s) does not require special drivers to be installed. Power Consumption 22 Watts typical/30 Watts maximum.